Egypt’s state prosecutor announces he has referred ousted President Mohamed Morsi for trial on charges of inciting the murder of protesters. The accusations relate to violence outside the presidential palace in Cairo last December when at least seven people were killed in clashes. Fourteen other members of the Muslim Brotherhood are to stand trial on the same charges. Mohamed Morsi has been held at a secret location since he was deposed in July. He faces a number of charges but this case is his first referral for trial. Since he was ousted from power, the military-backed interim government has cracked down on Brotherhood supporters, who are demanding Mohamed Morsi’s reinstatement. Last month, hundreds of protesters died when security forces stormed pro-Morsi camps in the capital. The state prosecutor referred the former president for trial late on Sunday, Egypt’s state media reported. They said he would go on trial on charges of “incitement to murder and violence” in December 2012. The date for the trial is yet to be announced. The case relates to clashes outside the presidential palace in early December 2012. Tens of thousands of demonstrators had rallied outside the building on the night of 4 December and the following day in protest at what they described as Mohamed Morsi’s illegal decrees giving him sweeping powers and also his drive to change the country’s constitution. On Sunday, state media said an investigation revealed that Mohamed Morsi had asked the Republican Guard and the minister in charge of police to break up the protesters’ sit-in, but they had refused to obey the order. Mohamed Morsi’s aides are then alleged to have called their supporters to deal with the demonstrators. At least seven people died in the clashes and hundreds more were injured. Mohamed Morsi’s supporters say they were defending the palace after being attacked by opposition activists. Among the other 14 suspects due to go on trial with the ousted president are leading figures in the Brotherhood’s political wing, Mohammed al-Beltagi and Essam El-Erian. 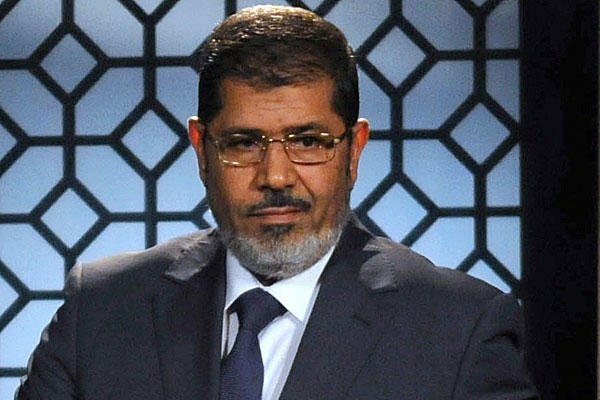 Mohamed Morsi has previously been accused of the “premeditated murder of some prisoners, officers and soldiers” when he and several Muslim Brotherhood leaders were freed during a breakout at a Cairo prison in January 2011. Mohamed Morsi is also alleged to have plotted attacks on jails in the uprising that overthrew President Hosni Mubarak and of conspiring with the Palestinian militant group Hamas.